Christian overlooks the gloomy roof of the abandoned National Acme Industrial Plant. Oxford the drone makes an appearance in the background. The exploration of the weird and abandoned of Ohio comes from a strong desire deep down to see a world left behind, and at the same time allowing new life to take on these urban locations, giving them new meaning. The first location on our adventure was the Chippewa Lake Amusement Park, located in Medina County Ohio. With a little drone scouting we were able to find an entrance into the park, abandoned in in 1978. Nature has now taken over, and most of the buildings, including the one pictured above, have been demolished - left to the overgrown greenery. Below are some of the results of our first adventure, ferris wheel and all! The Cleveland Aquarium, the second stop on our journey. This photo, taken in 1967 shows a very different scene then what one is greeted with today. 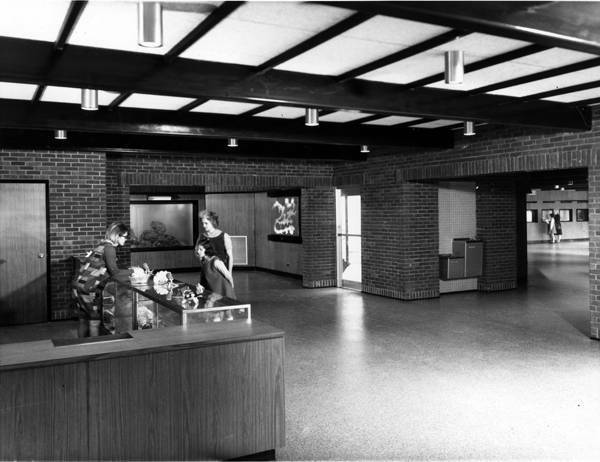 The Aquarium was officially closed in 1985, soon becoming a location where the Cleveland Poliece trained K-9 units. It was then again abandoned in the 90s. When arriving at the aquarium we were not sure if it was still being used for K-9 training, as it prominently had a sign saying that it was in use - though the building's structure said otherwise. Now it sits in a park with a baseball field and kids running around it. It's odd that so many abandoned locations are now in public spaces, sitting hidden in plain sight. The next location that we ventured to was the abandoned Days Inn Hotel. We happened there by chance when trying to go to an abandoned Church in the area that we found out had been torn down. But what we found was perfect for those addicted to exploring the abandoned. The Days Inn hotel, near Cleveland by Emery and Northfield Road was closed down about 13 years ago, in the early 2000s. At this point in our adventure this place was the most daunting. The parking lot outside was full of cars, and I wouldn't be surprised if people are living in the hotel. According to those that knew the area, when the hotel closed it was less of a hotel, but a place one would stay for weeks at a time. It had also gained a reputation for prostitution and drug deals. The National Acme Company was founded in Hartford, Connecticut in 1895. With re-branding and acquisitions, by 1980, the then Acme-Cleveland, was on or the largest machine tool manufacturers in the United States. But, the company could not keep up with changing times and through the years sold off parts of the company while also trying to diversify its portfolio. The East 131st Street plant, pictured below, was soon sold off and operations were taken to other locations. This plant was sold to DeVlieg-Bullard Inc in 1995, which filled for bankruptcy in 1999. It was officially abandoned in the early 2000s, and was soon illegally used by a garbage disposal company that filled the first floor to the ceiling with garbage. We soon saw these acts of disposal upon our first few minutes of arrival.